To celebrate National Baby Day on 2nd May, I have teamed up with Baby Born to offer one lucky reader the chance to win My Little Baby Born Super Soft & Comfort Seat. The baby doll’s body is incredibly soft and stuffed with cuddly material. The pink romper with cute rainbow print is designed in line with the easy fit style. The cut, fit and fastenings are designed so even the smallest of hands are able to put the romper on and take it off easily. The matching hat is of course an absolute must. If she is ever upset, she can easily be comforted with her dummy, which is attached to the romper suit by a cord so it can’t get lost. But why would she be upset when she can be carried around everywhere in a smart comfort seat? The handle of the seat is easy for small hands to hold and the safety belt makes sure that she can be taken anywhere safely and comfortably. More competitions can be found in the categories tab and The Prize Finder. My youngest daughter would love to have a new baby, especially with a car seat to come on trips in the car with! What a fab prize! I still remember my Baby born! My biggest girl who’s now 18 had Baby Born dolls and all the little outfits and accessories wish she had kept them to pass on to my youngest who is 4 she’s just starting to love playing at being Mummy. I loved my Baby Born when I was little. I remember every time I got money for something I’d ask my mum to take me to the toy shop to buy her new clothes! So cute! I have a 3 year old daughter who loves role playing so this would be a perfect present! thanks for a lovely giveaway ! my daughter would love it ! My daughters would love this. Perfect. My niece Evie-Louise would love this! 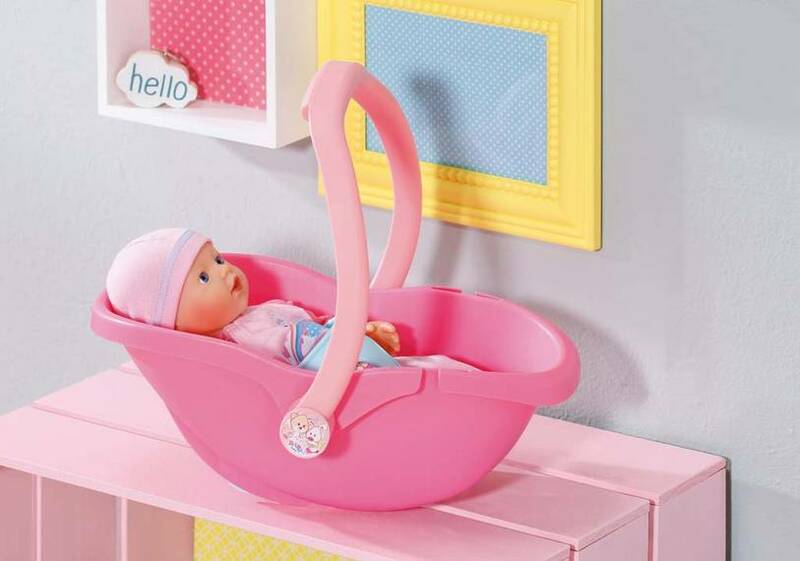 I’ve got a 2 year old who would love this – she can practice for looking after the baby we’ve got on the way! So cute, my daughter would love her. Would love this for my little girl she loves dolls! My 5 year old niece would love playing with this. Lovely giveaway! Have two daughters! Great range of toys from this brand. A lovely doll and seat. My granddaughter would love it. I can’t believe that Baby Born is still going! I remember them from when I was a little girl! My niece has just started playing with dolls, she likes to dress them up. Great prize for my niece. Fingers crossed. my daughter loves her baby dolls, she would be over the moon with this. My little girl would love this. So cute. I always loved Baby Born! Just wonderful for our Grandaughter. A lovely doll and super giveaway. Thank you. Our youngest would adore her. Great doll, great giveaway! Thanks for the chance! My little girl and nieces love dollies! I know a little lady this would be just perfect for! My daughter loves to be just like mummy so she could don her high heels and to totter around with baby to her hearts content with this prize! I would love to give this to my granddaughter! My Lily would so love this! This is lovely, my friend’s little girl would love this 🙂 Thanks for the chance!